Google is appealing the EU’s decision but must begin complying or risk getting hit with more penalties. 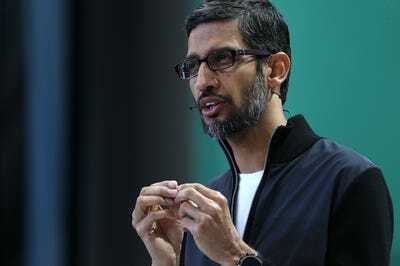 Following a crackdown by regulators in Europe, Google said Tuesday in a blog post that it will no longer require EU-based mobile-device makers that use Android to accept a bundle of the company’s apps. The downside for device manufacturers is that Google for the first time will now charge for many of its most popular apps. Google said that it plans to introduce a new “paid licensing agreement” for smartphones and tablets that use its software and are shipped to the European market. The blog post did not specify which Google software it would sell when the licensing program takes effect on October 29. The move marks a major change for Google, which has built a $US780 billion company almost entirely by giving its products away for free and selling advertising. And the shift to paid licenses in Europe appears designed to appease regulators more than a desire by Google to generate new revenue. Google also said Tuesday that it will offer commercial licenses to European companies that wish to pre-install Google Search and the company’s Chrome browser. Google has always offered a paired-down version of the Android mobile operating system free of charge. But to get access to Google’s popular Play store, the company required manufacturers to install Google’s bundle, which included the Chrome browser and Google Search. But in July, EU competition authorities found that Google had abused the market dominance of Android, the world’s most popular mobile OS. In addition to a levying a $US5 billion fine, the EU demanded Google stop forcing bundles of apps on device makers. The changes announced Tuesday mean that handset makers should be able to pick and choose specific apps from Google, such as Google Search but not Google maps, mixing and matching them with apps made by the company’s competitors. But it remains to be see whether Google’s moves on Tuesday will satisfy EU lawmakers. One question that they’re sure to ask is whether device makers have any economic incentive to adopt apps from other companies if they must pay for Google’s, which are among the world’s most popular.